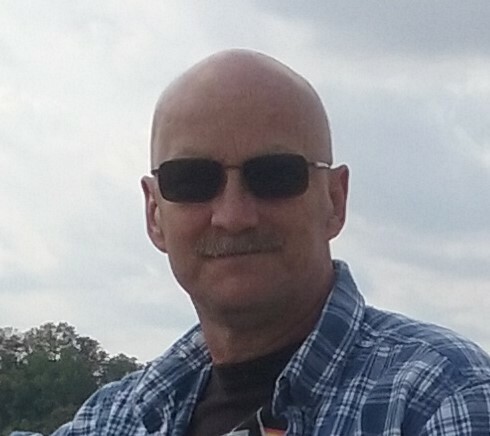 Obituary for Joseph John Luthner | Harman Funeral Homes & Crematory Inc.
Joseph J. Luthner, 54, of Hazle Twp., passed away Monday morning at his residence surrounded by his loving family. Born in Clifton, NJ, November 14, 1963, he was the son of the late Peter and Suzanne (Zapp) Luthner, and had lived in Pennsylvania for 22 years after moving from New Jersey. Joseph was an Inventory Specialist at First Quality Non-Wovens in Humboldt. He enjoyed coaching Little League Baseball and Youth Football. He was an avid Mets and Rams fan and loved the music of KISS. Surviving are his loving wife, the former Lisa Johnson, with whom he had been married 25 years; three children, Crystle Morales and her husband Gino, Hazleton; Joseph P. Luthner, Hazle Twp. ; and Peter M. Luthner II., Hazle Twp. ; three grandchildren; a brother, Michael Luthner and his wife Kate, MN; a sister, Suzanne Luthner, Lakeville, PA; and several nieces and nephews also survive. A Memorial Service will be held Friday, at 11 am from Harman Funeral Homes & Crematory Inc. (East), 669 W. Butler Drive, Drums. Friends and family are invited to call at the funeral home on Friday from 10 am until the time of the service. The family asks that people wear orange and blue or gold and blue to represent Joseph's love for the Mets and Rams. Interment will take place privately at the convenience of the family. In lieu of flowers, memorial donations may be made to the Luthner family to offset extensive medical expenses. Expressions of sympathy can be mailed to the family at 475 Old Cranberry Rd., Hazle Twp., PA 18202.